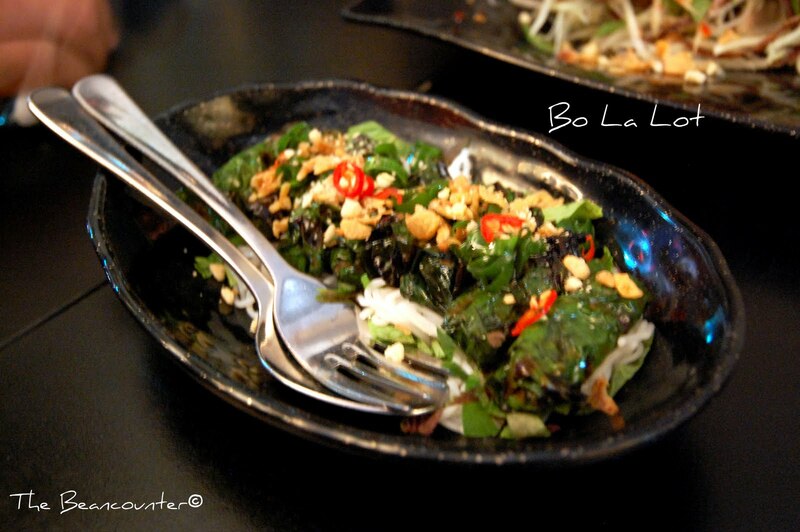 Now, to the other end of the Vietnamese dining spectrum. I’ve always intended to go to Red Lantern. 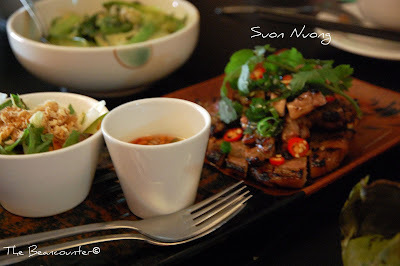 But my resolve to actually dine in this much-lauded restaurant became even greater after my wife gifted me with Luke Nguyen’s (the restaurant’s owner/chef) Songs of Sapa for our 12th anniversary. Most Vietnamese restaurants I know are either in the city’s Chinatown or in the outer suburbs. 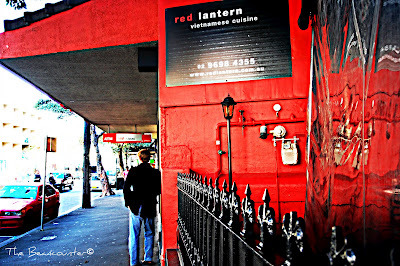 Red Lantern, on the other hand, distinguishes itself by being situated in a converted Crown St terrace in the trendy Surry Hills area of Sydney. The restaurant suggests you book at least 2 months in advance if you plan to have dinner there on a Friday or a Saturday night. I did not have that much notice to give. Dinner was definitely out of the question. So I booked lunch instead. With my very good friends from Sydney in tow (thanks once again Lyndon and Carla, and Anthony, of course) we rock up one Wednesday to experience what Red Lantern has to offer. No Asian kitsch in sight. The restaurant is tastefully decorated in mainly vermillion and black. 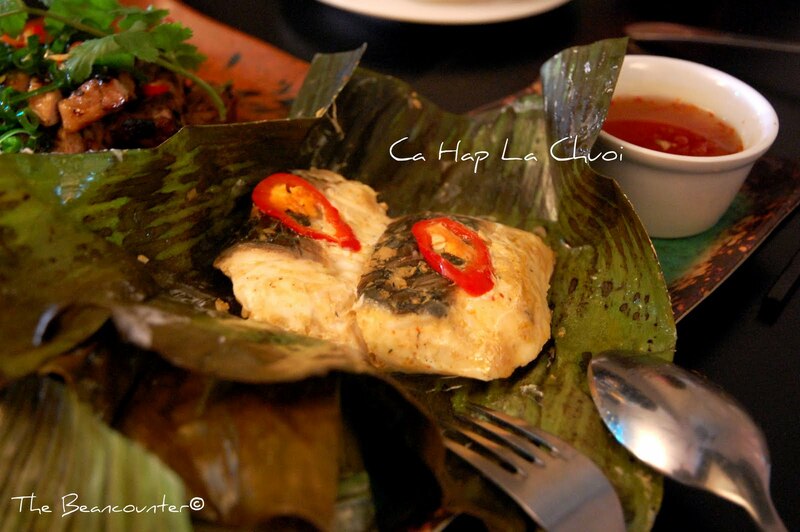 It gives you the feeling of being in a well-to-do but traditional Vietnamese family home. So as we do not miss anything I thought the best way was to go for their tasting menu. Unfortunately, with less than 4 adults in our party we were dissuaded from doing so. There was no other choice but to go a la carte. 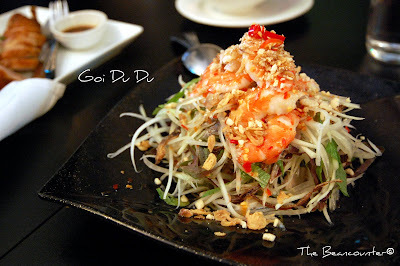 Green papaya, Tiger prawns and Berkshire pork salad. 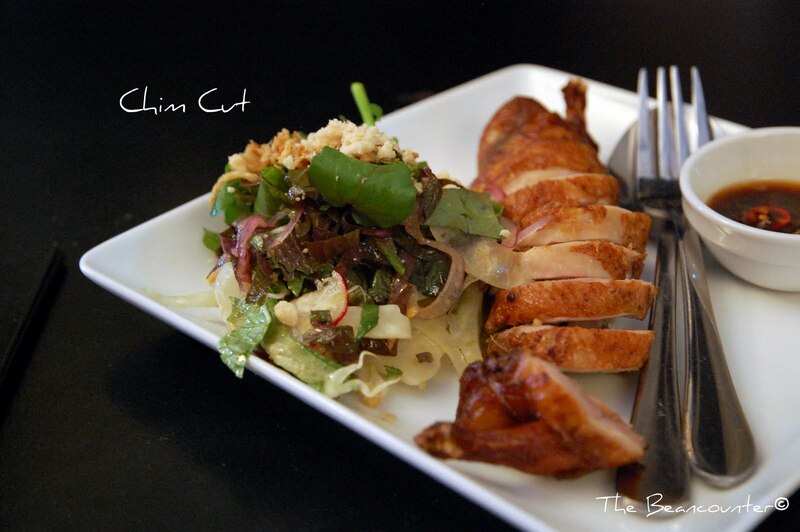 Twice cooked quail stuffed with Kurubota pork served with salad of fennel in citrus and soy dressing. Char grilled lemongrass beef wrapped in betel leaves with vermicelli, peanuts and shallot oil. 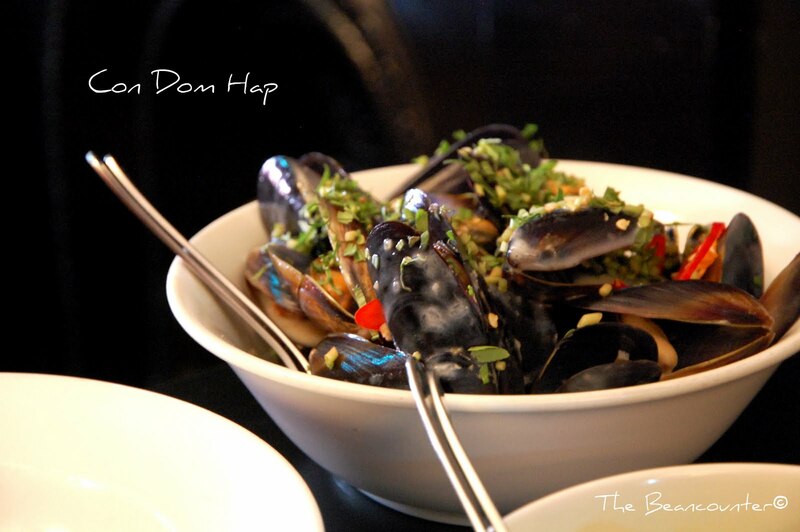 Mussels steamed with garlic, lemongrass and chilli. Finished with coconut milk. I can sum up the whole experience in one word: “underwhelming.” For a restaurant with such strict booking requirements I came with very high expectations. 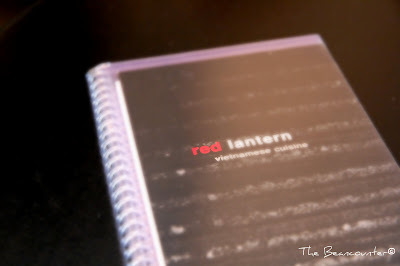 Red Lantern, I thought, would be a step above the best Vietnamese dining experiences I’ve had in the past. It all comes down to the flavours. They were all there but somehow muted. Rather than an explosion I only got a hint of this and a whiff of that. As much as I love Luke’s book I’m afraid I can’t say the same for the restaurant. It promised so much but delivered so little. Lesson learned indeed. That's the problem with high expectations, it can bat you out of reality until the frustration slams you back on the ground. Grr! The food looks good though. But it is Vietnamese and their food is supposed to be a burst of flavors (if not coriander). If I were you, I would have drunk all the dips. But you know I'm crazy.